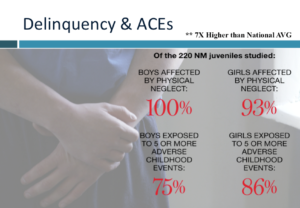 The Adverse Childhood Experiences (ACE) Study is the first large-scale study to empirically demonstrate that various types of family dysfunction in childhood significantly increase the risk for physical and mental disease into adulthood. The ACE Study breaks new ground in exposing the physical manifestations of childhood trauma. The effects of ACEs last a lifetime, but the cycle can be broken by developing a safe and nurturing relationship between parents and their children. Our society has treated the abuse, maltreatment, violence, and chaotic experiences of our children as an oddity that is adequately dealt with by emergency response systems—child protective services, criminal justice, foster care, and alternative schools—to name a few. These services are needed and are worthy of support—but they are a dressing on a greater wound. Experts in the field of Childhood Abuse and Neglect conclude reducing corporal punishment is essential to reducing physical abuse. Ending spanking is an upstream solution to ending child abuse and preventing the negative effects associated with Adverse Childhood Experiences. 2017 Article of the Year in Child Abuse & Neglect The official journal of The International Society of the Prevention of Child Abuse & Neglect (ISPCAN). 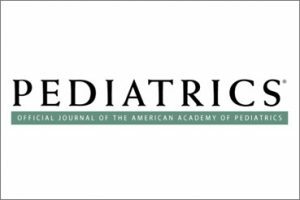 This paper was chosen as Article of the Year out of the 238 manuscripts published in Child Abuse & Neglect in 2017. The criteria for the award are: a) novel nature of the paper, b) potential to advance the field, and c) high academic quality. Afifi, T.O., Ford, D., Gershoff, E., Merrick, M., Grogan-Kaylor, A., Ports, K.A., MacMillan, H.L., Holden, G.W., Taylor, C.A., Lee, S.J., & Peters Bennett, R. (2017). Spanking and adult mental health impairment: The case for the designation of spanking as an adverse childhood experience, Child Abuse & Neglect, 71, 24-31. To determine if spanking should be considered an ACE, this study aimed to examine 1): the grouping of spanking with physical and emotional abuse; and 2) if spanking has similar associations with poor adult health problems and accounts for additional model variance. Spanking was associated with increased odds of suicide attempts, moderate to heavy drinking, and the use of street drugs in adulthood over and above experiencing physical and emotional abuse. Spanking is empirically similar to physical and emotional abuse and including spanking with abuse adds to our understanding of these mental health problems. Spanking should also be considered an ACE and addressed in efforts to prevent violence. Despite numerous studies identifying a broad range of harms associated with the use of spanking and other types of physical punishment, debate continues about its use as a form of discipline. In this commentary, we recommend four strategies to move the field forward and beyond the spanking debate including: 1) use of methodological approaches that allow for stronger causal inference; 2) consideration of human rights issues; 3) a focus on understanding the causes of spanking and reasons for its decline in certain countries; and 4) more emphasis on evidence-based approaches to changing social norms to reject spanking as a form of discipline. Physical punishment needs to be recognized as an important public health problem. In “Parenting Attitudes and Infant Spanking: The Influence of Childhood Experiences,” the authors interviewed 1,265 mostly low-income women during their first prenatal care visit and 3 and 11 months after they gave birth. The new mothers provided information about their attitudes toward corporal punishment and about their own childhoods, including any experiences of violence or other adverse childhood experiences. During the third interview, the mothers also provided information about how often they spanked their infants. Researchers found that 14% of mothers in this group spanked their infants, and 19% valued corporal punishment for infants. Mothers who had experienced physical abuse as a child were 1.5 times more likely to spank. More adverse childhood experiences were related to a greater propensity to spank. The study’s authors discuss the need for early counseling about the potential harmful effects of spanking, especially with at-risk mothers who experienced physical abuse as children, in order to stop the intergenerational transmission of corporal punishment. Error: Error validating access token: Session has expired on Tuesday, 02-Apr-19 17:18:00 PDT. The current time is Monday, 22-Apr-19 07:58:06 PDT.